Architects: Renzo Piano Building Workshop with Cooper, Robertson & Partners; Program: Museum; Location: New York, NY; Completion: 2015. 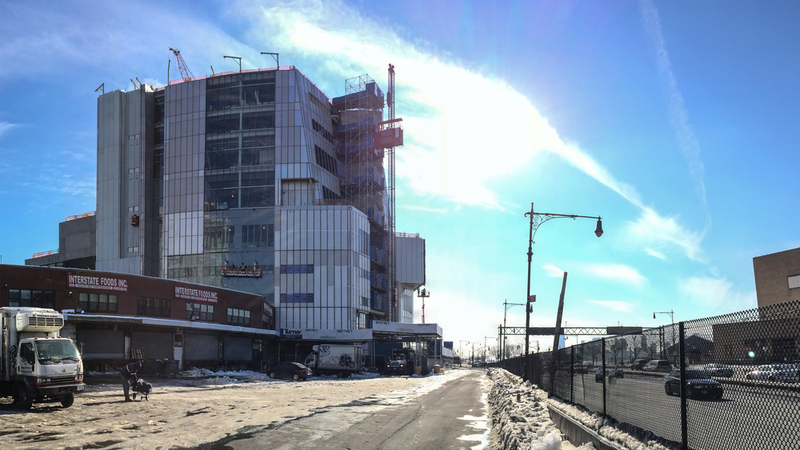 At the southern end of the High Line, the park's cultural anchor progresses towards its opening next year. The museum will contain indoor and outdoor exhibition space in a stepping form that sets back from the High Line, including the largest column-free gallery space in New York City. 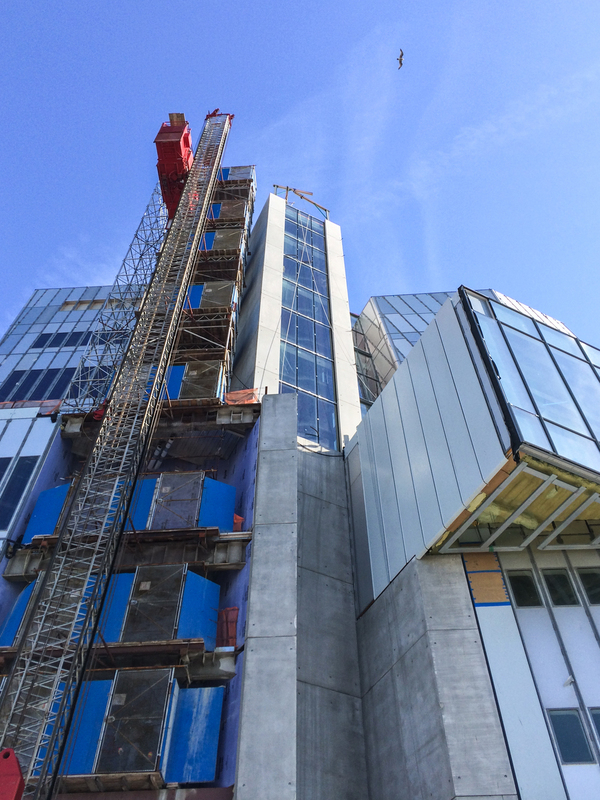 Currently, the construction progress of the exterior envelope focuses on installation of the 30 and 60 foot enameled steel panels that enclose much of the exhibition space.